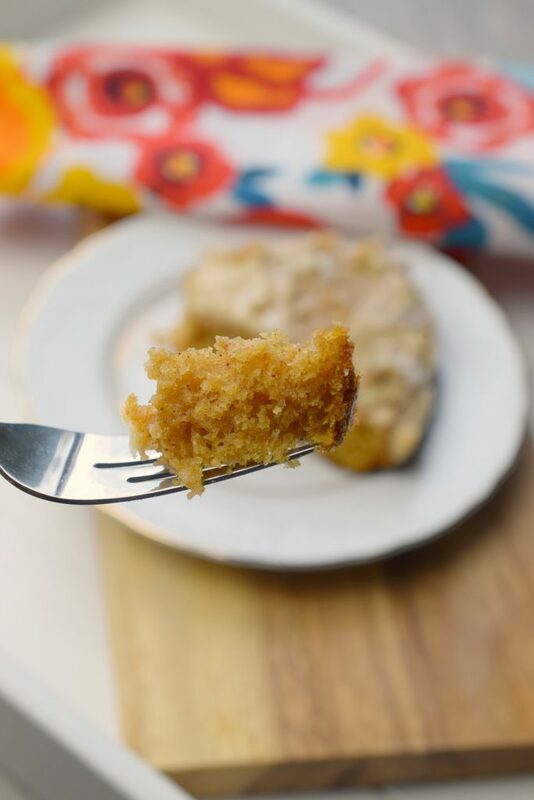 Baileys Crumb Cake - Who Needs A Cape? 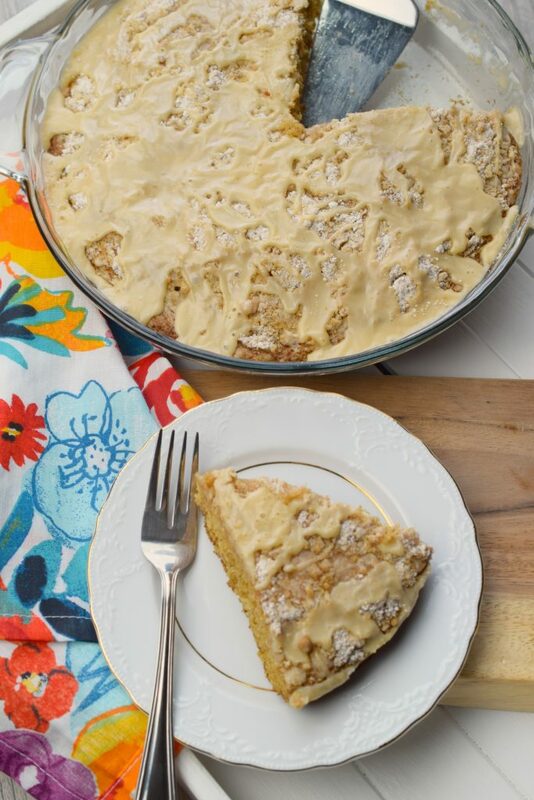 Whip up this easy to make Baileys Crumb Cake for brunch or dessert. A tender cake made with buttermilk and Baileys, you know its delicious. We’re closing in on the end of such a delicious week. 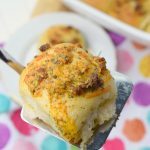 I’m debuting my second to last recipe today for #EasterBrunchWeek there’s one more after today. 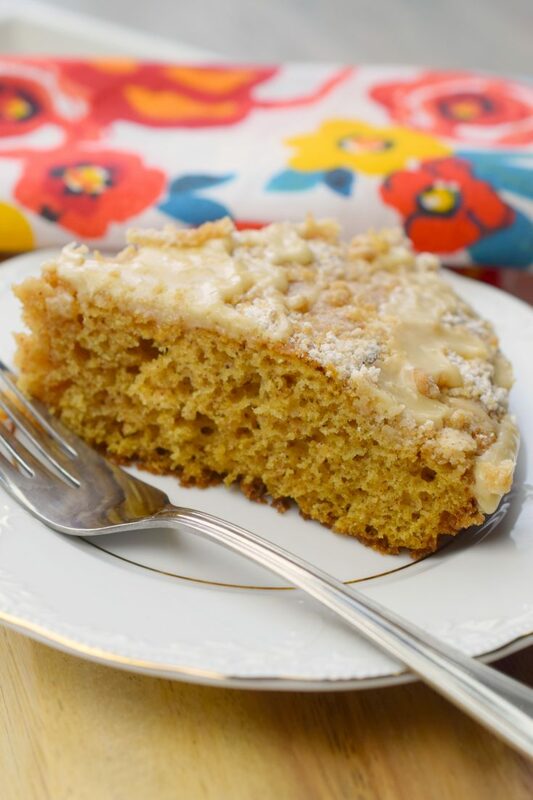 Today I’m rolling out a tasty desserty addition to #EasterBrunchWeek, Baileys Crumb Cake. Yes, Baileys as in Baileys Irish Cream. Now I’ve got your attention, right? 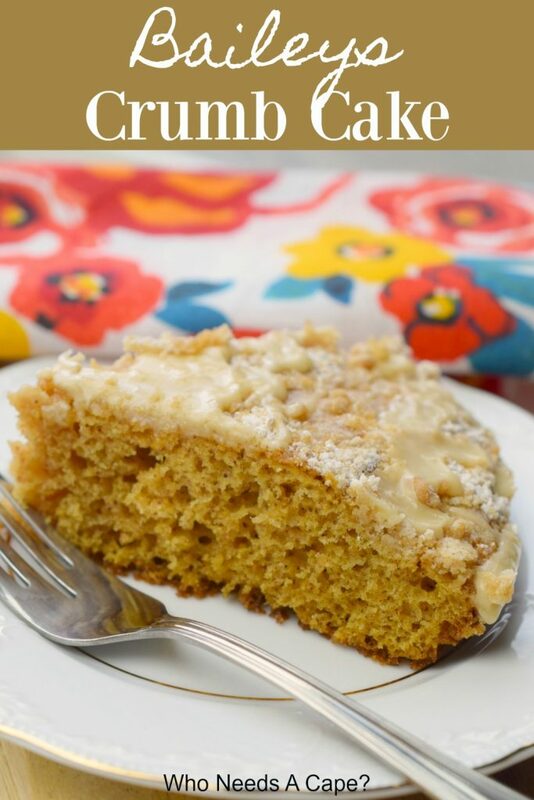 Baileys Crumb Cake is so easy to prepare and goes amazingly well with a cup of coffee. 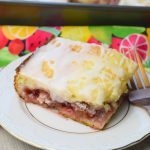 Just ideal for brunch, or dessert anytime you’d like. 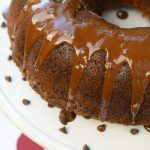 This tender cake not only contains Baileys in the batter and the glaze, but there’s buttermilk in there too. 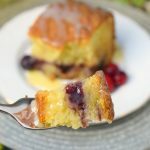 Buttermilk makes the most tender cakes, and this one is bite by bite delish. 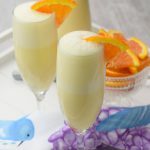 Along with the Baileys and buttermilk, I used Eggland’s Best in this recipe. 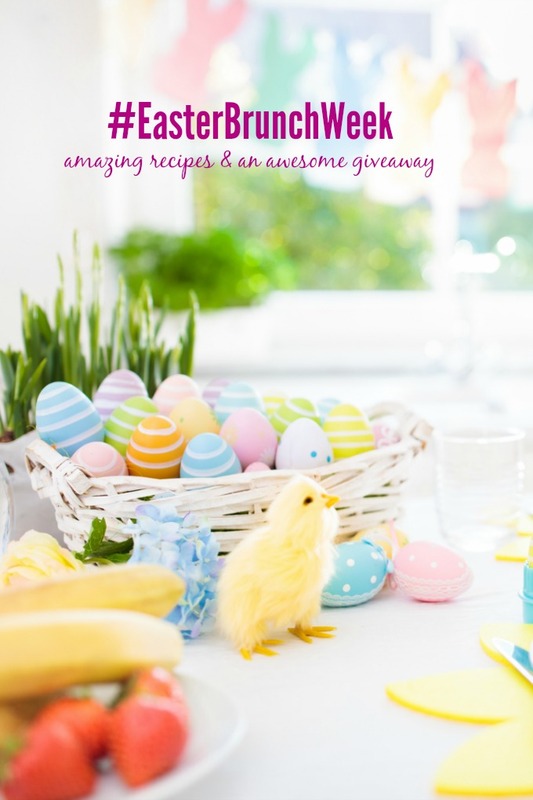 Eggland’s Best graciously sponsored #EasterBrunchWeek and this time of year we go through a ton of eggs, so why not use the best! I also made my baking extra easy with a Silpat 8″ Round Mat, great for cakes, cookies, and even pizza. 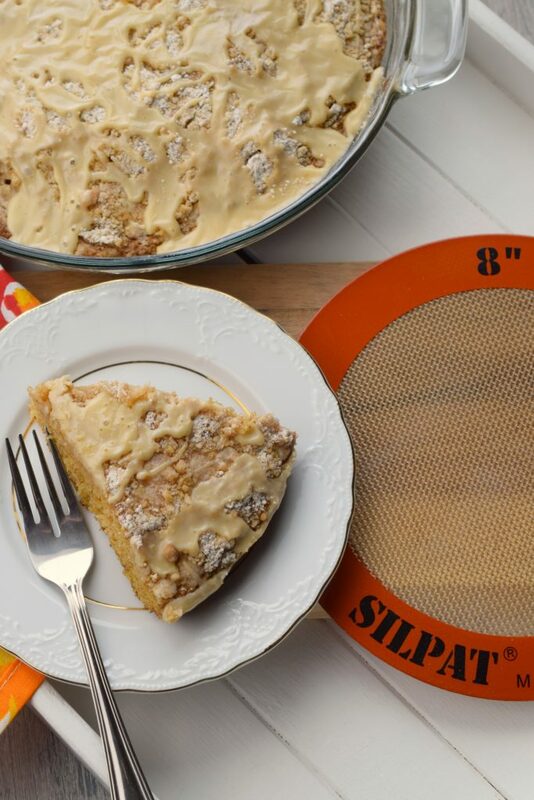 You should give Silpat a try if you haven’t used their baking mats before. 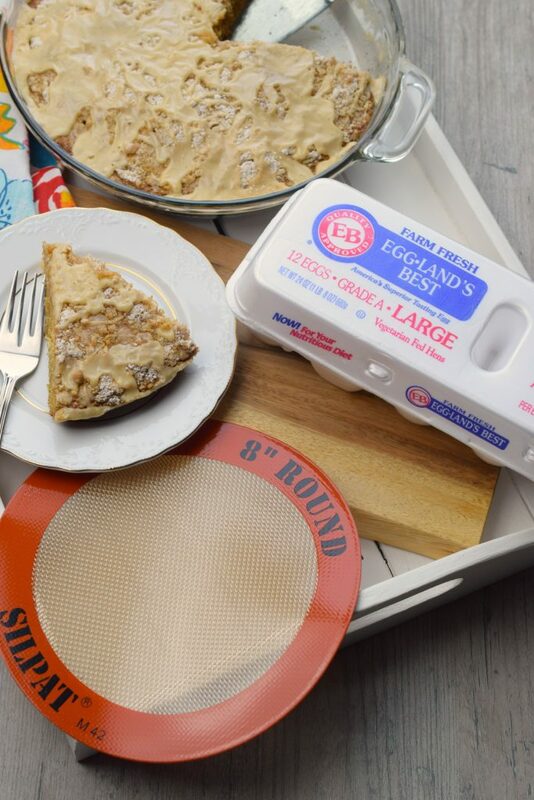 What do you need to make Baileys Crumb Cake? 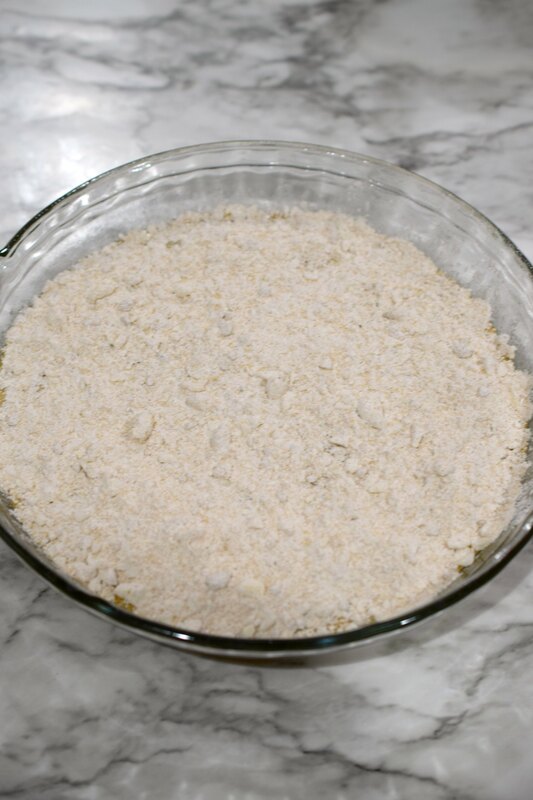 Use a pastry cutter or two dinner knives to make the crumble. 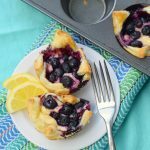 Make in a round cake pan or pie pan. Cool completely before drizzling glaze. Preheat oven to 350° degrees. 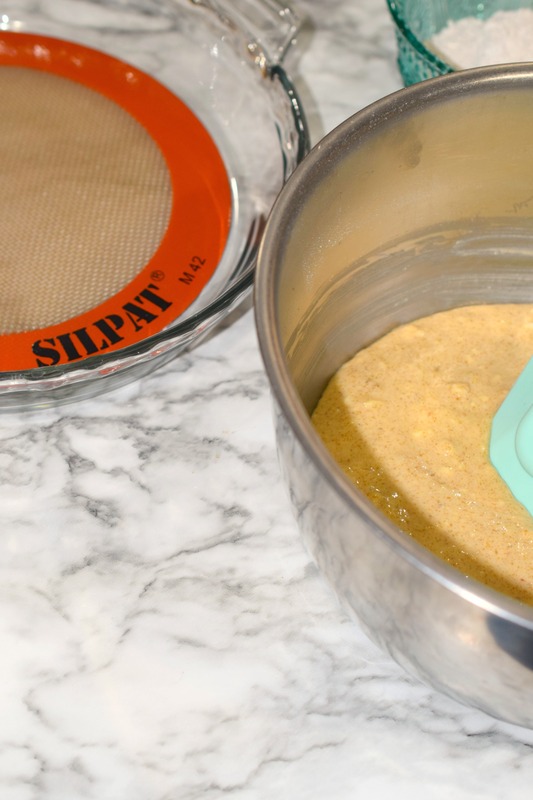 Spray round baking pan or pie pan. In bowl combine: flour, brown sugar, cinnamon, salt and butter. 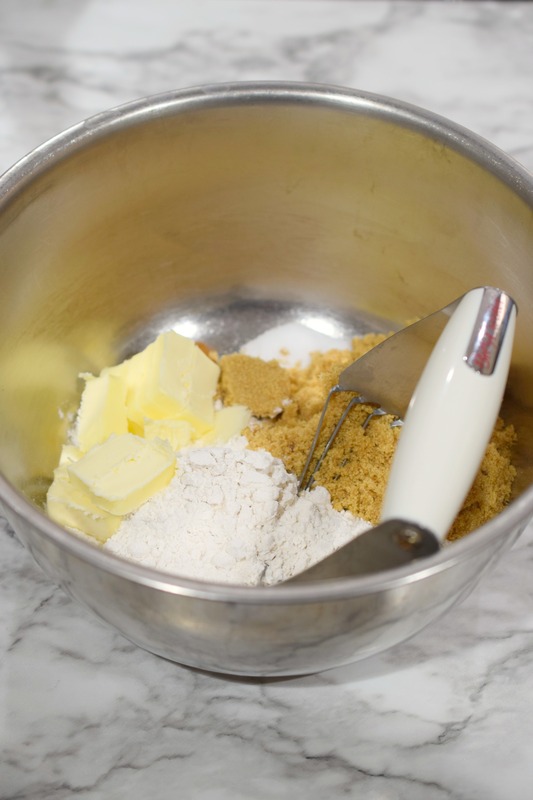 Using pastry blender or 2 dinner knives cut butter into dry ingredients until it is in small pea sized pieces. Reserve 1/2 cup for crumb topping. In mixing bowl combine: remaining crumb base, baking powder, baking soda, buttermilk, egg, vanilla extract and Baileys Irish Cream. 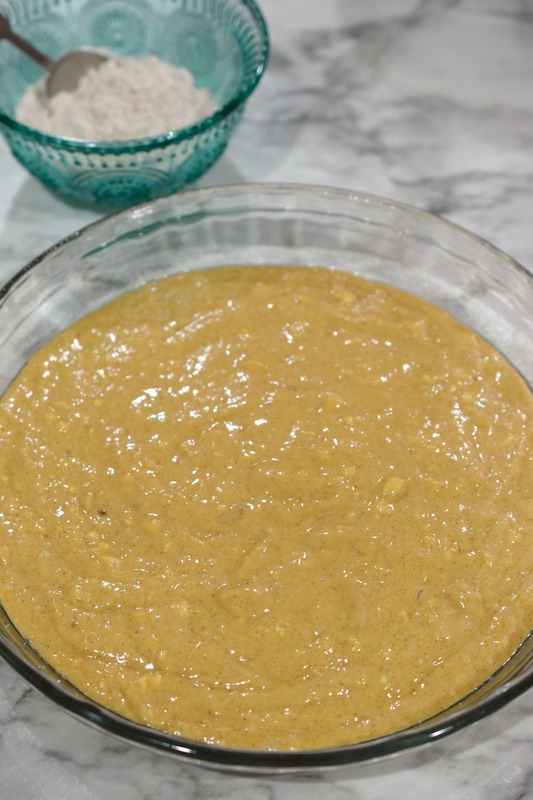 Beat with electric mixer until combined. 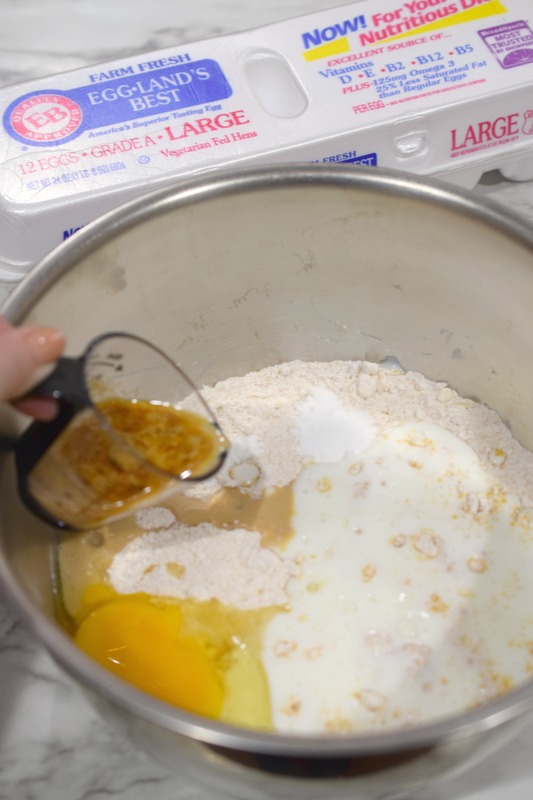 Spoon batter in to prepared pan. Sprinkle with reserved 1/2 cup of crumb mixture. Bake approximately 25 minutes or until toothpick inserted into center comes out clean. Cool completely before glazing. 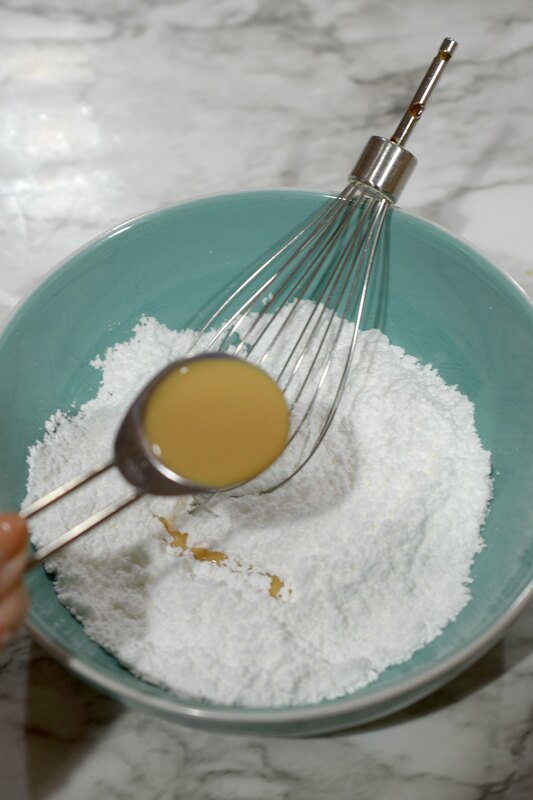 Whisk together powdered sugar and Baileys Irish Cream until smooth. You may need to add more Baileys to achieve desired consistency. Drizzle glaze over top of cooled cake. Allow to harden a few minutes before cutting.